say grace – let’s eat. 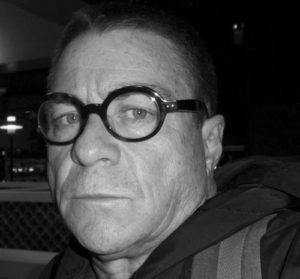 Michael “Mike” Klumpp Born: New Orleans, Louisiana. Educations: New Orleans Academy, University of Louisiana Lafayette, Dallas Theological Seminary. Degrees and Special Training: B.A. English, M.A. Biblical Studies, Holds Black Belts in 6 different disciplines, 5th Dan Amerian Mixed Martial Arts, Meteorology School of the Air Force. Awards: Most Valuable Athlete, Best Supporting Actor, Numerous Poetry Awards including Pushcard Nomination 2003, Who’s Who in America’s Teachers 1993, 1994, Coached 1990 State Semi-final Football Team Christway Academy, Louisiana Medal of Excellence, Several Gold Medals in Martial Arts. Career Highlights: President of Mike Klumpp and Associates Sales in Dallas, Texas, Founding Owner of ASB Karate in Texas, Kansas and Kenya, Founding Director of EASEORG East African Service and Empowerment – Mission Agency serving East Africa from our offices in Nairobi, Author of Single Dad’s Survival Guide, Founded the Marstellar Bray Arts Center in Dighton, Kansas, City Council Person and Economic Developer for Dighton, Kansas and Lane County, Resident Artistic Director of the Uvalde Grand Opera House, Lead Teacher High School English and Bible at Christway Academy in Duncanville, Texas, Teaching “Matthew” Dallas Theological Seminary Lay Institute, Team Teaching Dallas Theological Seminary “Effective Pulpit Delivery” with Doctor Reg Grant and Doctor John Reed, Performing and Writing for Howard Hendricks at Dallas Theological Seminary and the Center for Christian Leadership, Building a Hospital and Bringing Electicity to the community of Lemoru in the Ziwa Disctict of Central Kenya, Pastoring Churches in Dallas, Texas, Dighton, Kansas and Hong Kong. This entry was posted in Mike Klumpp and tagged i know why ed gein loves me, Mike Klumpp, Outlaw Poetry, Poetry by Monsieur K.. Bookmark the permalink.